Professor Brett Paull is a University of Plymouth (UK) B.Sc. (Hons), Ph.D. and D.Sc. graduate, and a Fellow of the Royal Society of Chemistry. 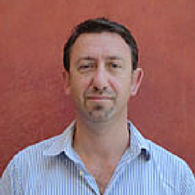 Brett is the current Director of the Australian Centre for Research on Separation Science (ACROSS) at the University of Tasmania, and Professor of Analytical Chemistry within the School of Physical Sciences. Professor Paull is also a CI and Electrofluidics and Diagnostics Theme Leader within the ARC Centre of Excellence for Electromaterials Science. Professor Paull took up his first lectureship at the University of Tasmania from 1995 to 1997, before moving to Dublin City University (DCU), Ireland, as Lecturer (1998-2003), Senior Lecturer (2003-2006) and Associate Professor (2006-2011). In 2009 Brett was appointed Head of School of Chemical Sciences, DCU, and Director of the Science Foundation Ireland funded Irish Separation Science Cluster (ISSC). In 2011 Brett rejoined the University of Tasmania as a Professor of Analytical Chemistry under the University's New Stars program. Brett has extensive undergraduate and post-graduate teaching experience over past 20 yrs covering most areas of analytical and environmental chemistry. Brett is the Coordinator of the Chemistry Honours program KRA407. Brett's research is centred on the development and application of new advanced materials for application within the analytical sciences and beyond. This research underpins a number of the University's research themes, such as Better Health, Environment, Resources and Sustainability, although direct alignment within the Data, Knowledge and Decisions Theme is most immediate. A major driver of this research is to expand the current boundaries of analytical science, developing new technologies and analytical approaches to enable greater qualitative and quantitative exploration of our natural and man-made chemical and biological environments. On a more specific front, within the Australian Centre for Research on Separation Science (ACROSS) research interests focus upon the production and characterisation of new materials and platforms for application within the analytical and bio-analytical sciences, and in particular advanced inorganic and organic phase materials for selective extraction and separation purposes. Within the ARC Centre of Excellence for Electromaterials Science research is focussed upon the development and application of novel materials within new platforms and devices, towards next generation analytics and diagnostics. Brett is currently a CI and Theme Leader within the ARC Centre of Excellence for Electromaterials Science, with collaborating researchers based within the University of Wollongong, Monash University, University of Melbourne and Swinburne University of Technology. The Australian Centre for Research on Separation Science has partner nodes within Monash university, the University of Western Sydney and RMIT University. Brett is also a CI within the ARC Training Centre for Portable Analytical Separation Technologies (ASTech) in collaboration with Trajan Scientific and Medical. Professor Paull is author/co-author of over 200 peer reviewed journal articles, reviews, book chapters, patents and miscellaneous published articles, attracting over 3,700 citations (h-index = 35; i10-index = 115; source = Google Scholar). Internal funding scheme. Internal funds are ineligible for HERDC. ACROSS proposes to collaborate with Core Resources to develop and improve ion chromatographic methods and conditions, as provided by Core Resources, to enable and provide robust conditions for the separation and quantification of key inorganic species within industry samples. ACROSS will collaborate with Jacobs Water to develop an experiment to assess residual polymer (PolyDADMAC) concentrations for mining wastewater. A miniaturised separation sciences system that could be used by process technicians to rapidly determine concentration of APIs and impurities during the tablet manufacturing process would be of value, particularly in analytical applications where spectroscopic solutions do not deliver the required sensitivity and selectivity. The target of this research is to create and demonstrate a miniaturized HPLC/UPLC instrument that can be integrated with an appropriate sampling system to enable real time monitorng of API concentration during the tablet manufacturing processes, with an emphasis on low dose formulations. The idea of this joint Australia -Germany collaborative project is to develop ion chromatographic and capillary zone electrophoretic methods for determination of manganese and iron species in various industrial and natural samples. The University of Tasmania and Young Optics Inc will develop a novel 3D printer offering the highest resolutionavailable and fastest printing speed for the single-step manufacturing of complex microfluidic devices. New resinsdeveloped to exploit the inert liquid interface layer printing approach will provide unprecedented capability tocreate micron sized channels interconnected in 3D space and fabricate Lab-on-a-Chip systems that cannot begenerated by any current fabrication approach. This novel high speed, high fidelity 3D printer and the new resinsto be developed will lead to more effective manufacturing approaches for portable chemical devices and promotecomplex chemical analysis into the knowledge immediacy culture of today. Method development for purification of speciality chemicals. Evaluation and provision of detector response report on HPLC based detector response (sensitivity), stability and linearity for FIVE Starpharma supplied dendrimers, using (1) Refractive Index Detection (2) Evaporative Light Scattering Detection (3) Corona Charged Aerosol Detection, and (4) Direct and Indirect Conductivity Detection. The project will investigate the molecular nature of dextran sulphate samples, using size exclusion chromatography to characterise molecular weight distributions. The project will develop the appropriate and optimum chromatographic conditions to provide the desired size distribution data and apply the optimised method to SBS unknown samples (up to 10 samples in first instance). The investigation will include investigation into degree of sulphation based upon combination of elemental analysis and electrophoretic methods. Portable analytical separation systems will enable point-of sample analysis for complex samples in food, environmental and clinical applications. This project aims to create a sustainable research partnership between university-based researchers and Australian industry focused on developing new capabilities and technologies that have the potential to facilitate, support, or catalyse the progressive deployment of portable separation science technologies into society, as well as training the next generation of industry-ready Australian researchers. This will lead to the development of new, portable and affordable analytical separation systems and contribute to creating a sustainable, globally competitive manufacturing industry in Australia. The aim of the project is to test a recently reported adhesive polymer in a dental context. It aims to assess whether this new polymer can be adhered to and be compatible with tooth material. It is hoped that it may exhibit high strength and biocompatibility properties. Biocompatibility is important for an adhesive in tooth restoration, as it can indicate a long lifespan for that restoration. Biomolecular interaction analysis is the study of basic communication pathways within living organisms. Protein-protein interactions form the basis of almost all biological processes and their study helps shed new light upon such complex and integrated systems. This project will develop new technology to non-invasively measure such interactions. This three month project will focus on the development of improved extraction procedures for shell proteins. The project will investigate extraction methods for these encapsulated proteins within ground shell particle sample, as provided to the project by Essential Oils of Tasmania. The project will focus upon the stability of extractable protein following applied extraction processes, its recovery form, and the quantitation of all proteinaceous materials recovered. The project will compare recoveries and performance of developed extraction methods with that of current methods. Micro-disperse sintered nano-diamond meets many requirements for potential use as a new class of adsorbent within the next generation of separation science technologies. These requirements include unique micro-porous structure, excellent mechanical and chemical stability, high thermal stability, low chemical surface reactivity, biocompatibility and low cost of production. This project will provide unique characterisation of the adsorption properties of micro-disperse sintered aggregates of nano-diamonds, and for the first time investigate surface modification chemistry to improve selectivity and specificity of the adsorbents. It will effectively realise the advantageous potential of such materials in different modes of high performance liquid chromatography. Since 2002 Professor Paull has supervised 28 successful higher degree research students (24 PhD, 4 MSc), 22 of which as primary supervisor.